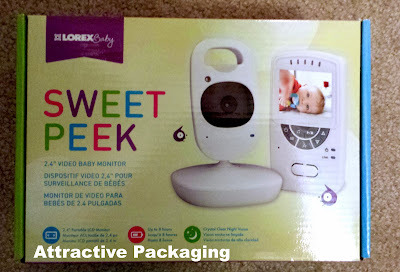 Lorex Sweet Peek Video Monitor Review! Day 14: Oh Baby Baby! 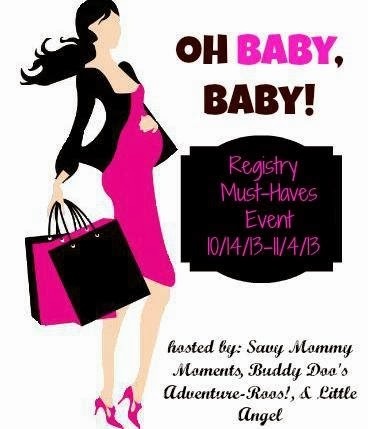 Registry Event! Oh Baby Baby! I am expecting my 3rd child any day now and in honor of this upcoming birth, I have teamed up with Buddy Doo's Adventure-Roos & Little Angel on a Mission to feature some of our absolute must-have baby & mama items! For parents seeking a brilliant support system at home, Lorex Baby has got you covered. Our newest bundles of joys are compact and equipped with even smarter technology! 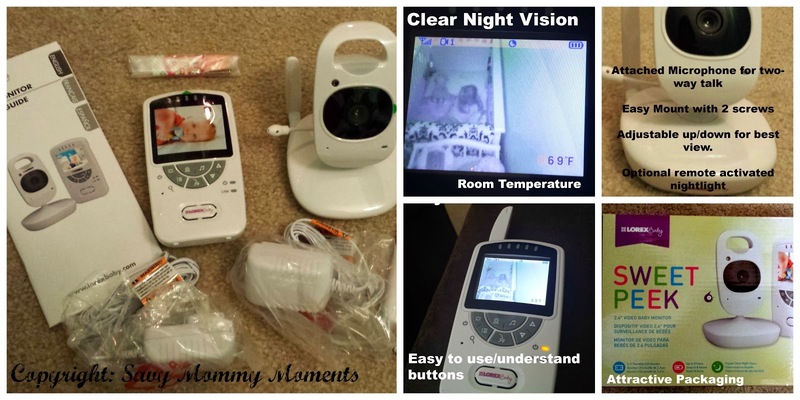 It’s now simpler than ever to watch over your little one from afar. Lorex Baby is here to help guide new parents through days and long nights with their littlest ones, we love providing caregivers with one less thing to worry about! In a world of uncertainty, protecting what’s most valuable to you has now become paramount. We at LOREX Technology understand this and have positioned our organization to be your choice and partner as a security solutions provider. LOREX is a global leader in the video surveillance market space, providing leading edge connected video security cameras and monitoring systems. 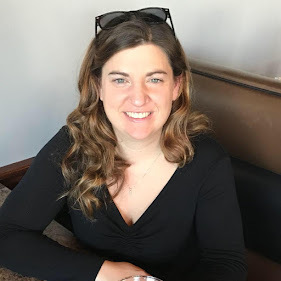 Ensuring that your home and business is safe is critical; and the need for awareness and connectivity to protect your family, property and other things that matter most have become a way of life. Loss Prevention is now an everyday way of how we think and act at home and business. Visit the world of LOREX solutions which enable you to have this peace of mind while you keep in touch and stay connected to those people, possessions, and property that you value most. Stay connected anywhere, anytime, at home or on the go, through your PC, MAC, Smartphone or Tablet. The LOREX Live and Vantage lines of video surveillance and monitoring systems are available in thousands of retail stores across North America and online through major e-tailers. In our family, we consider video monitors one of the best investments for keeping an eye on our little ones and making sure they are safe and sound. 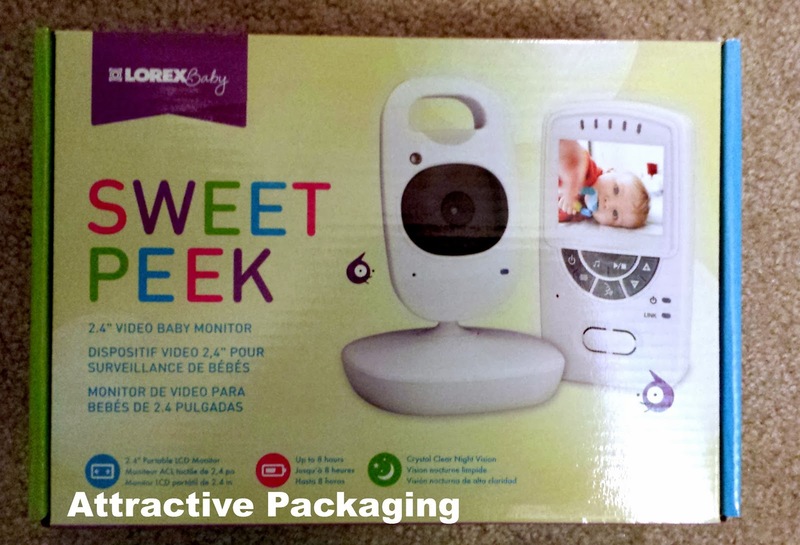 Previously, I have reviewed a monitor by Lorex Technologies and I am happy to introduce you to one of their newer baby video monitoring products, Sweet Peek! I immediately noticed the monitor comes in a neatly packaged box that has a really appealing design and size. Unpacking and identifying all of the parts was really easy and it only took a few minutes to get everything hooked up. Once I picked a spot on the wall, I just put the two screws in, hung up the camera, plugged it and the monitor in and everything synced up immediately! As you can see below, I chose a side view of the crib, since this was where I wanted my camera. The camera is approximately 6-7 feet from her crib. If I were using this for a smaller baby, I may have it closer to the crib, but Little A. is almost 2, so it's mainly used for seeing/hearing when she is asleep/awake and hearing/seeing if she needs us. Room Temperature Monitor/Alarm. As you can see we prefer her room to be around 70 degrees and we are able to set an alarm to go off should it drop below 66 or above 74. Soothing Lullibies that can be turned off/on remotely. Lullibies are easily turned on and off remotely and help soothe baby to sleep. Camera Nightlight that can be turned off/on remotely and is the perfect amount of light and not to bright. Clear display during day/night. At night, we can easily see Little A. and what she is doing in her crib. Antenna that can fold down/up for additional range. We use the antenna since Little A's room is on the opposite corner of the home from our family room and it provides us with perfect reception! Excellent range from one corner of our home to another. Optional voice activated sound or continuous sound. This is really good if you don't want to hear anything unless there is a noise in the room that activates the sound coming through the monitor. Two-way talk, so you can hear and talk to baby. We find this is good for telling Little A., it's time for bed and helping her settle down. Expandable up to 4 cameras. Great for easy expansion to multiple children! So far, we really like this product. One of my favorite things about it is that it blows away any other video monitor we have owned in terms of battery life. We have had it go for 8+ continuous hours on battery only before needing to be plugged in. This is nearly 4x some of our other monitors. I also really like that it feels sturdier than some others and the buttons on the front are really intuitive and easy for anyone (i.e. grandma) to understand and push. Overall, I would highly recommend this monitor for anyone with a new baby or current little ones. It's great for every day/night monitoring and provides lots of wonderful features at a fraction of the cost of others on the market. Learn More/Purchase: You can learn more about this product and the entire Lorex Technologies Baby line on their website. You can also purchase any of their products from their website and you will receive free shipping on orders over $9.99! Check out this video review about this wonderful product! You can connect with Lorex Technologies on Facebook, Twitter, YouTube, Google+ and Pinterest! 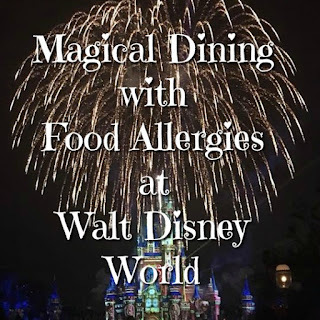 Be sure to become a fan and stay up-to-date on all their latest and greatest products! "What's it Like? Wednesday" Turning 30?! Neater Feeder Pet Product Review & #Giveaway! Beyond Bedding Review & #Giveaway!